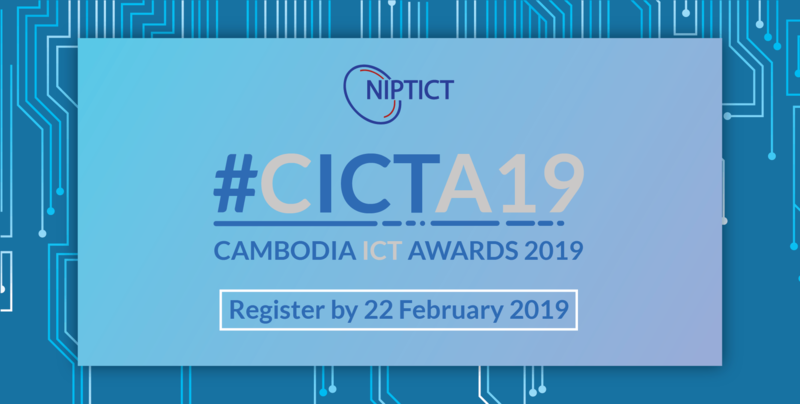 Startup news cambodia, startup news Asia, technology Cambodia, Technology news Asia | Cambodia ICT Awards 2019 Now Open! An initiative by the National Institute of Post, Telecommunications and ICT (NIPTICT), the awards aim to showcase the achievements and success stories in the Kingdom’s growing tech scene. The competition is open to private companies, startups, social enterprises, NGOs and government institutions in five categories: Best Tech Startup of the Year, Best Digital Innovation Organisation of the Year, Best ICT R&D of the Year, Best Social Innovation of the Year, and Best E-Government Service of the Year. In addition to the various categories, the panel of judges will also evaluate and select a number of other potential sectors such as AgriTech, Digital Banking, EduTech, FinTech, and HealthTech. The selection qualifications are based on how well an application meets Tech Innovation, Problem Solving, Efficiency of Operation, and Marketing Strategy criteria. NIPTICT has organised the awards since 2015 to reward and promote the Kingdom’s outstanding products or projects, and Smart Axiata, a major partner of the Ministry of Post and Telecommunications (MPTC), is once again a main sponsor. The three winning companies last year were: Morakot VB developed by Morakot Technology, a program for financial and banking management, Soyo (Cambodia) developed by Soyo Entertainment Co., Ltd., the first online movie streaming platform in Cambodia, and Banhji developed by PCG & Partners Co., Ltd., an accounting program for small and medium enterprises in ASEAN. After an eventful 2018, Geeks in Cambodia can’t wait to see what comes up for this year’s awards!